As we all know, this year, Darin celebrates 10 years as an artist. His career begun thanks to the Swedish talent show 'Idol', where he took part in the first season. In other words, it's also 10 years since 'Idol' first aired on TV4. Due to this event, TV4 broadcasted a special 10th-anniversary show last Friday, called 'Idol 10 år' (10 years of Idol). The show gave us not only flashbacks and great moments of Swedish 'Idol' history, but also some interviews with a few of the previous contestants. Of course, Darin was one of them. "I went to school every day, as usual. And then, all of a sudden, everything changed", he says. "I remember taking the subway one day, and a stranger there wished me good luck. People looked at me, smiling. And there was a girl who started hugging me and refused to let go." In a recent interview with Expressen, Swedish artist and producer Andreas Kleerup stated that he's currently planning a project with Darin and Olle Ljungström (the original singer of "En Apa Som Liknar Dig"), after meeting him in the United States. Well, that wasn't really hard to guess, after the videos and pictures they shared on Instagram. Kleerup generally produces electro and synthpop. He's known for collaborating with the likes of Robyn, Lykke Li and Loreen. Have a taste of what Darin's new sound might be. Darin's second and last show at RIX FM Festival took place yesterday in Stockholm. He woke up sick, so his voice was not at its best, but still he managed to make the audience scream for him. As in the previous show in Linköping, he performed four songs: his latest single Mamma Mia, Playing With Fire, Nobody Knows and En Apa Som Liknar Dig. Our photos from the event are up on our Facebook page. 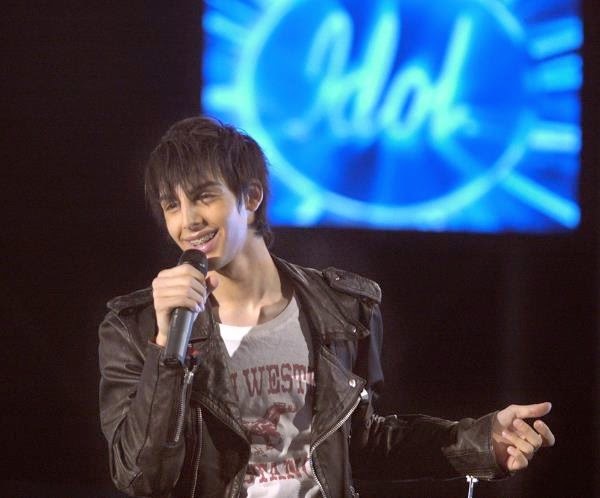 Here's a full clip of Darin's performances.